EZTrader.com - has revolutionized the way binary options are traded on the internet today, by supplying its customers with a simple, exciting, dynamic and highly profitable trading platform, very different from traditional option trading. Due to the simplicity and speed of our binary options trading system and the low minimum investment amount, EZTrader.com is able to reach investors with different profiles all over the world. Ranging from sophisticated investors that are looking for ways to hedge their positions in the traditional market, to amateur day traders looking for some "action" without risking large amounts of money, EZTrader developped a system suitable to most of everyone's goals. EZTrader.com members are provided with a complete set of tools to help them optimize their trading. Tools include live financial news, references to financial sites and a wide variety of tradable options. EZTrader.com offers its traders a payout of up to 75% on every investment. Earn 25% of the revenue EZTrader generates from your referred users. You earn up to $200 for a new referred user who makes a deposit at EZTrader. Get 5% of the commission earnings for all your sub affiliates. FinancialAffiliates.net - is the in-house affiliate program run by FinancialSpreads.com. FinancialSpreads.com is the UK regulated, brand for forex, financial spread betting and CFD trading. FinancialSpreads.com was established in 2007. They offer more than 1,000 financial markets via their website and mobile apps. Clients can speculate on forex, commodities and global stock markets. CPA: Earn $220 to $300 per qualified account. Revenue Share - a revenue share option is available to regulated firms. Firms in this commission scheme will earn 20-25% of the spread. Financial Services Online - offer access to the hottest insurance and finance rates from a big selection of Australia's leading financial institutions through a national network of insurance, finance and investment specialists ... connecting visitors with comprehensive product comparisons including ratings from top, independent research houses. With millions of financial products being bought or renewed every year ... combined with an accelerated confidence in consumers making internet financial transactions ... your potential earnings are exceptional. As a member of the Financial Services Online Affiliate Program, you'll earn SUBSTANTIAL COMMISSIONS for referring people to our website. No website? No Problem! We are currently offering all affiliates a free website and hosting package to help you earn more money by referring business to us. This offer is for a limited time only and is like nothing you have ever seen before. Forex Club International - Forex is the world's largest financial market with millions of traders and over 3 trillion dollars traded daily. This is also one of the fastest growing financial sectors. FOREX CLUB provides online trading solutions to clients from more than 120 countries around world. FOREX CLUB is an acclaimed brand that has received awards from around the world, including: Leader in Europe according to Dow Jones Newswire; Best Educational FX Website, Best Forex System (Forex Expo); Best Broker for Beginners (forex-ratings.com). Join Forex Club International's affiliate program, and start earning up to $100.00 on every client you refer to us. Forex Tester 3 - is a unique backtesting software that allows to speed up your learning on Forex by 2,000 times. Forex Tester is a software that simulates trading in the forex market. It is designed for you to learn how to trade profitably, and to create, test and refine your strategy for manual and automatic trading. Test and improve your strategy for consistent and growing profits! Grow confident in your strategy so you can keep a clear head, act immediately on trading opportunities and avoid mistakes when you trade live later on! Become an experienced and successful trader in less time! Test trading strategies on 15 years of free historical data, dismiss losing methods, discover the systems that can provide you with profits in future on the real market. Cost - $199. Earn 25% commission from each sale ($199 * 25% = $49.75). Holiday Loans - WE ACCEPT ALL States & MILITARY, and Consumers18 yrs. of age, and Incomes Greater than $800 /month for PAYDAY LOANS CAMPAIGN NOTES: We believe that affiliates should receive credit for all revenue generated. We take all of the revenue generated, aggregate it into our pixel pipeline and report it in increments relative to the actual agreed to CPA. Note - Payout is inclusive of all taxes. Earn $28.00 per referal. HotStocks.io - Artificial Intelligence Stock Picking Newsletter where individual investors subscribe to get a 2-6 stock picks mailed to them. The 2017 Track Record for the USA Stock Market alert was 173%. Our goal is to provide working professionals with the hottest stocks available designed to produce profits every time simply trading up to 9 times per week with 1-3 day hold times. We put a lot of effort into our daily research and constantly perfect it so you can do better than anyone else on Wall Street. According to the subscription plan, you will receive up to 6 stock trade alerts by email before the chosen market open. The stock picks will be ordered by the highest return opportunity with the lowest possible volatility. When the plan hold time is reached, you will receive another stock trade alert with new and updated stock alert. The foundation of the ideal investment strategy is to divide the total capital you have available to equally invest in the stocks picks. If you have $10k of capital to invest and chose to trade 4 stocks, you would use $2,500 to either buy or short the stocks. It’s important to note that we are only a research company that uses technology to forecast performances, you will have to choose by yourself how to use the information provided. Product Price: $47-$197 /month. Affiliate Commission Structure: Starter: 30% recurring commission; Professional: 40% recurring commission (after 100 referrals); Premium: 50% recurring commission (after 300 referrals); Ultimate: 60% recurring commission (after 500 referrals). InstantLoanNetwork.com - works with both long and short term lenders. Short Term Loans provide the cash needed to meet an immediate short-term cash flow problem and are not a solution for long term financial problems for which long term financing may be more appropriate. This service does not constitute an offer or solicitation for short term loans in every state. This service may or may not be available in your particular state. The states in which this service is available may change from time to time without notice. InstantLoanNetwork.com is not a lender and is not responsible for approving or declining your loan request. 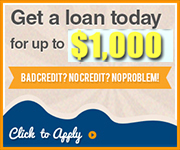 InstantLoanNetwork.com is a matching service that pairs applicants looking for both short and long term loans with one or more contracted lenders who will approve (or decline) the loan and amount at their own discretion, and may perform a credit check or otherwise verify your personal information. If offered, InstantLoanNetwork.com cannot guarantee up front you will be placed and or approved for a short or long term loan. The consumer is responsible for reading and accepting the terms and conditions in any offer extended. Earn $25.00 per sale. Lazy Binary Option Signals - Rather than sell Binary Options signals that promote scam brokers. We have a quality product which your clients will love. Time based meaning all the signals trade at the same time each day. NO more watching the computer screen all day or waiting for an alert in the middle of the night. Your client will KNOW exactly when they need to be available to trade each and every day. And they don't have to babysit the trade. Place the trade and walk away. Your clients will only need 1-2 minutes a couple times a day to trade. We pay 51% a month and are paid thru clickbank so you know you will get paid. Make the sale once and get paid for months. LendingUniverse.com - is the largest integrated site of lenders in the US. Have anyone you know fill out a free loan application and they will receive bids from up to four of their qualified lenders. This is for any type of real estate loan (mortgage, re-finance, commercial, residential.) For each valid loan application LendingUniverse sell to one of their qualified lenders, you get a $2-$20 commission. This is a fun program, and you help people. You will be guided along the way, to help you make money.